Our OPM service is the perfect solution for repeat orders. There is no limit to what artwork can be uploaded such as stationery, business cards, NCR books or any products which may require custom editing. 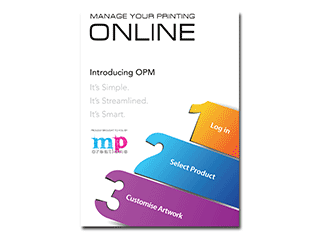 I would love to talk you through our new Online Print Manager (OPM). 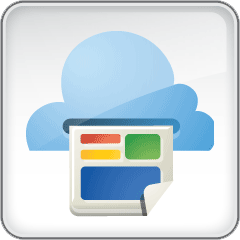 Online Print Management is the smart new way to edit, proof, approve and order all your printing online. You simply login from any computer, anywhere, anytime and manage your printing! Live instant proofing, approval and ordering – slash your printing turnaround times! We work with many different companies throughout Australia to integrating our online print management (OPM) with their existing offset and digital printing. Whether it is business cards or multi-page brochures and catalogues, we help companies to cost effectively slash turn-around times. We can offer 24 hour dispatch on many of your printed products including Business Cards. Reduce costs. Increase efficiency. Ask me how. This is definitely the most cost effective and time saving print ordering system. To receive new business cards within 48 hours is simply amazing. Thanks Mike. What an amazing system. You have made our stationary ordering so efficient and easy. Most of all, the cost savings have been significant. How do other print businesses get away with it! Amazing! The presentation folders have arrived ahead of schedule. We are so happy with the finished product.